What up dino’s! Here’s another dino fact! This one is by Rex! "Hey Rexxy?" "Yeah Rex?" "Let's just stick with prarie dogs, okay?" A: Really great question sKAC! So great that I seriously spent about an hour and a half trying to track the answer down yesterday. Unfortunately, like so many dinosaur questions, couldn’t find a definite answer. However, there is some good food for thought. Remember that Tyrannosaurus Rex was only around during the Late Cretaceous. Many species of sauropod (including some of the biggest) had gone extinct by that point but there were certainly others that roamed the same lands as the famous T-Rex. T-Rex would have encountered sauropods like Alamosaurus and Dsylocosaurus during the Late Cretaceous in North America. Still the question remains – did they do battle? Probably not. While the Late Cretaceous sauropods were not as big as earlier species, they were still huge. He may have been the most dangerous predator of his time, but T-Rex would have had a tough time taking down a sauropod. One well placed stomp would have crushed T-Rex, either killing it immediately or leaving an injury that would slowly kill it. Sauropods also likely traveled in groups – making it all that much harder. Even if a sauropod went down, T-Rex couldn’t eat the whole thing by itself in one meal and most would go to waste or other scavengers. More likely, T-Rex would prey on smaller animals like hadrosaurs, making for a more efficient and easier meal. Doggy’s Daily Dino Fact: RANDOM!! Hey dino’s! Haven’t posted in a while, sorry been busy with a school play 🙂 Anyway here’s a dino fact for ya! 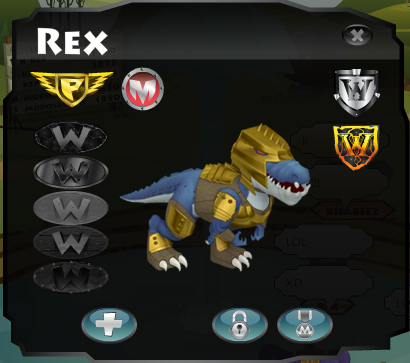 Alright now for this daily dino fact i’m gonna talk about Rex! Yes, Rex. Sound weird well it should xD So let’s start. Now Rex is consisted of a few thing’s: Awesomeness, Coolness, Funnyness, Smellyness (because of toots) Well thats enough on Rex. 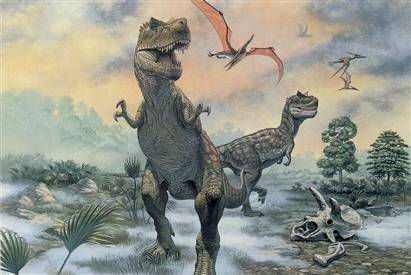 Now the T-REX was the most feared dino during the creatacous period. Now it may seem that the T-Rex’s little arms are of no use. Well the Short arms are used to lift the dino up when they wake up from sleeping. They are also helpful to rip another dino that it may be eating.